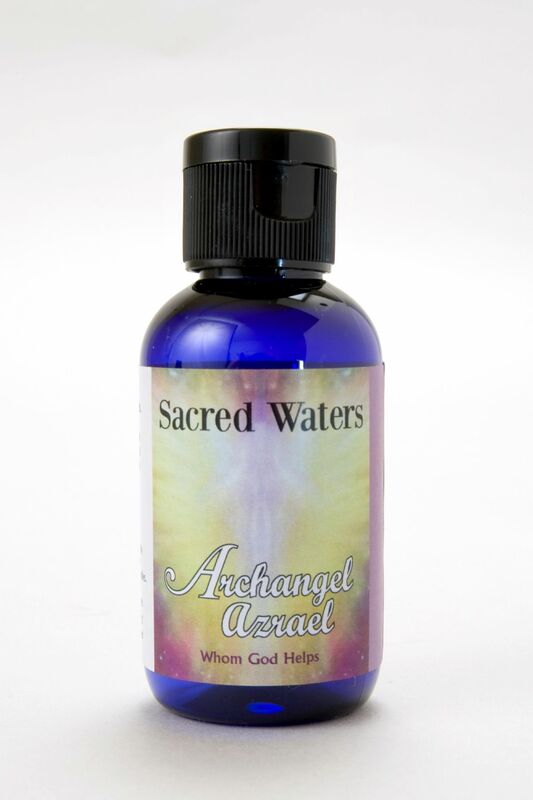 Embrace the enchanting energy of the Sacred Waters of Archangel Azrael, often referred to as the Archangel of Death. Embrace the enchanting energy of the Sacred Waters of Archangel Azrael, often referred to as the Archangel of Death. He escorts our departed souls on their heavenly journeys, ensuring they safely connect with the afterlife. He surrounds grieving loved ones on the Earth plane with his peaceful and transformative energy, lifting them out of desolation with his compassion and divine love. A magical formula containing the aroma of Red Mandarin, Sandlewood and Tree Moss. Floral Water. Holy Water. Gem Essence of Honey Calcite.